Who are the LINT Team (Hearing Impairment)? We are a team of specialist staff who have expertise in hearing impairment. 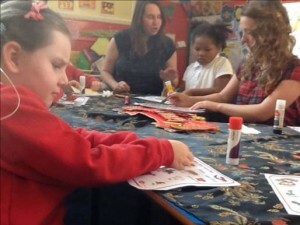 The Team consists of specialist teachers who hold the mandatory qualification for teaching children and young people with a hearing impairment, and specialist sensory teaching assistants who have experience and have gained qualifications in a number of areas such as: Listening, Language and Communication, Sign Language, Early Years Curriculum Modification, Hearing Technologies and Pre and Post Tutoring. Additionally, the team comprises of a Specialist Speech and Language Therapist for deaf children, as well as a Specialist Sensory Learning Mentor. How can your setting access the services of the Hearing Impairment Team? Most referrals on behalf of hearing impaired children and young people are made by consultants following diagnosis at hospital. Schools / settings and other professionals can also refer children and young people to the team using the designated referral forms with parental permission. The team works with hearing impaired children and young people from birth up to 25 years of age. What happens once a referral has been made? Following a referral to the HI Team, contact is made with parents, the school / setting and background information is sought. Where necessary we contact the relevant hospital and request up to date information. The HI Team liaises closely with relevant members of the ENT / Audiology / Cochlear Implant teams, sharing results of assessments, liaising re. clinics and sharing information for the benefit of the child or young person. The HI Team work with babies and families who have been referred following diagnosis at birth from the neonatal hearing screening programme. A Teacher of the Deaf is allocated to work with the family at home. Our aim is to provide appropriate intervention quickly. The input received varies as it is designed to ensure that we meet the individual and specific needs of each child and young person. In some cases, children and young people in schools / settings may be allocated specialist support or additional resources to help them access the curriculum. The purpose is to provide information about the use of residual hearing to plan intervention, to enhance listening skills and advise on appropriate methods of access to the curriculum. In Gateshead we aim to complete (as a minimum) annual assessments of functional hearing for all pupils on the caseload. What kind of intervention will the child or young person with hearing impairment receive? Where possible, specialist teachers work with babies, children and young people without the need for statutory assessment. We aim to give advice and guidance to schools, settings and their staff in order to increase access to the curriculum for children and young people with a hearing impairment. The input received varies as it is designed to ensure that we meet the individual and specific needs of each child. What kind of intervention could our school or setting receive? Support school staff in the effective use of hearing technologies. Advising on appropriate access arrangements for internal and external examinations. How do the HI Team support the Family? Having a good relationship with the family really helps us to support the child / YP. A successful partnership is the most effective way we can share information and expertise. Signpost to sign language teaching if necessary.